Organizers have invited party members to take a workshop on topics such as gender diversity. United Conservative Party leadership candidate Brian Jean says he hopes Calgary Pride organizers reconsider a decision to reject the party's request to march in the city's Pride Parade. CALGARY — A leadership candidate for Alberta's new conservative party says he hopes organizers of the Calgary Pride parade will have a change of heart and allow the party to participate. 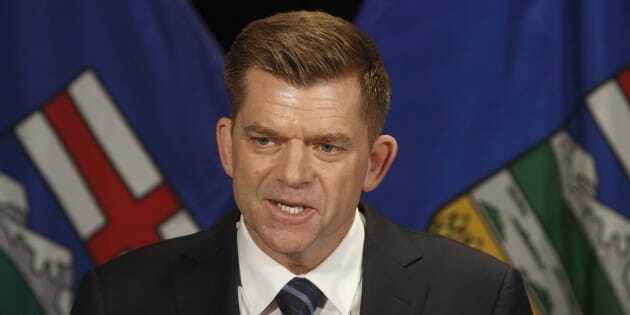 Brian Jean, who was Opposition leader in the legislature as head of the Wildrose party, says he is disappointed with the decision. He says he had asked to march in the parade and has always championed diversity and tolerance. Calgary Pride organizers have rejected a request for the United Conservative Party to join next month's parade. Organizers say the party does not have a clear policy on issues such as sexual diversity. They have invited party members to take a workshop on topics such as sexual health and gender diversity. The party was created last month after members of the Progressive Conservative and Wildrose parties voted overwhelmingly to join forces.